This beautiful beach couple cake top is perfect for a beach themed wedding. A romantic walk on a beach, a casual backyard wedding... this relaxed cake topper is a simple, fresh approach to the traditional wedding couple. Hand painted porcelain. 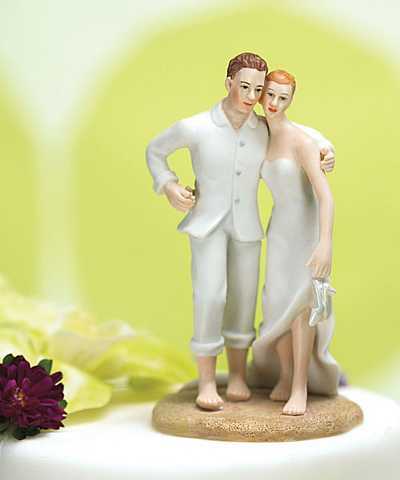 5" H Price is per beach couple cake topper.